"Siri, am I on track to reach my financial goals?" Our Mission: To enhance the lives of our clients and communities through comprehensive financial, estate and tax planning guidance with an obligation to service beyond expectation. Our Team. Our Clients. Our Services. With a certified financial planner professional (CFP), certified public accountant (CPA), attorney, paralegal, certified divorce financial analyst (CDFA) and registered sales assistants all in-house, Ironhorse is able to deliver a credentialed and integrated approach to help meet all of your wealth management needs. Wealth management begins with understanding your goals as it encompasses the combination of financial/investment advice, accounting/tax services and legal/estate planning. Our credentials allow us to implement each of these areas into your financial plan. We are an independent financial planning firm which allows us to design and implement financial plans based on your goals, values and objectives - not based on firm incentives or demands. We do not have quotas we have to meet or proprietary products to sell. "Where do I start?" "Am I on the right path?" "Do I have enough to retire?" There is power in understanding your finances and our goal is to help educate, inform and implement a financial plan that gives you a clear vision and direction for your future. Helping You and Your Family Achieve Your Financial Goals. We have a unique set of skills and experience that allows us to truly offer comprehensive financial advice, even for the clients with complex financial concerns. Our competence is reflected in the designations we have earned and maintained. These are the highest standards in the industry for comprehensive, client-focused, financial, estate, and tax planning. J.D. : Juris Doctor, also known as the Doctor of Jurisprudence. This is Steve’s lawyer (attorney) designation and represents graduation from law school (both Steve and Jordan graduated from the University of Oklahoma College of Law) and Steve passing the Oklahoma bar exam. By designation of being an attorney, Steve is a fiduciary. All attorneys have a fiduciary duty to their clients; you must act in their best interest, not your own. CPA: Certified Public Accountant: The CPA is a license to provide accounting services to the public. CPAs are required to get a bachelor's degree in business administration, finance or accounting. They are also required to complete 150 hours of education and have no less than two years of public accounting experience. CPAs must pass a certification exam, and certification requirements vary by state. Additionally, all CPAs must complete a specific number of continuing hours of education yearly. CFP®: Certified Financial Planner professional: Although many professionals call themselves "financial planners," only Certified Financial Planner™ professionals have completed extensive training and are held to the highest ethical and educational standards. CFP® professionals are held to a fiduciary standard defined by the CFP Boards as "one who acts in utmost good faith, in a manner he or she reasonably believes to be in the best interest of the client." Most people think all financial planners are "certified," but this isn't true. Just about anyone can use the title "financial planner." Only those who have fulfilled CFP Board's rigorous requirements can call themselves a CFP® professional. CFP® professionals are held to strict ethical standards to ensure financial planning recommendations are in your best interest. In addition, a CFP® professional must acquire several years of experience related to delivering financial planning services to clients and pass the comprehensive CFP® Certification Exam before they can call themselves a CFP® professional. CDFA®: Certified Divorce Financial Analyst: A CDFA® is a financial professional skilled at analyzing data and providing expertise on the financial issues of divorce. The role of the CDFA® professional is to assist the client and his or her attorney to understand how the decisions he or she makes today will impact the client’s financial future. Three years of experience in the financial serviced field is required along with 15 divorce-specific continuing education hours every two years. 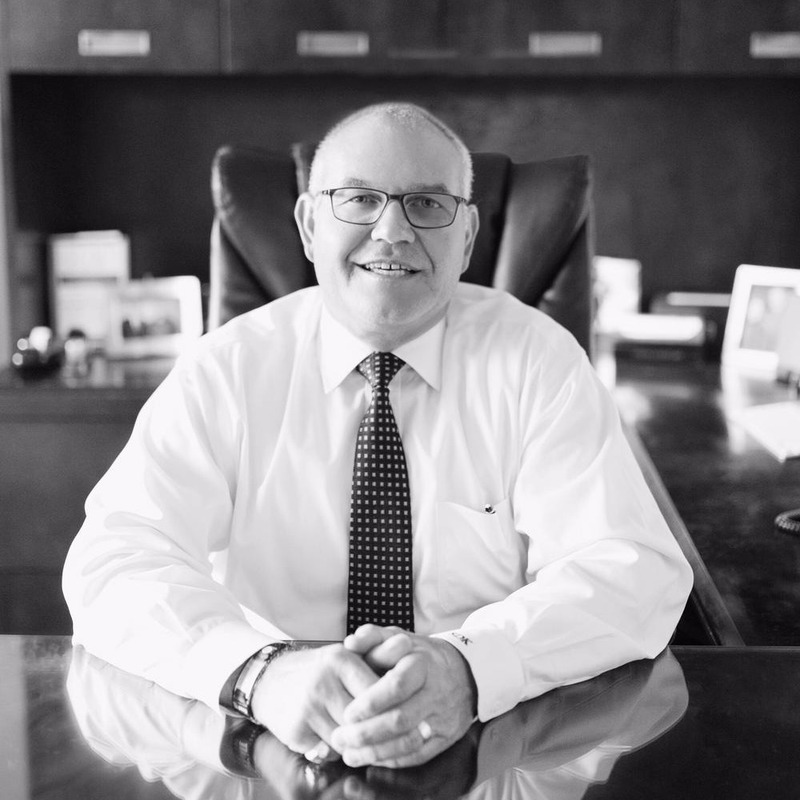 As Owner and Founder of Ironhorse, Steve is a Certified Financial Planner Professional, CPA, Attorney and has over 30 years experience in retirement planning, estate planning, tax management, and investments. Steve acted as in-house counsel for an international real estate syndication corporation and also developed extensive tax knowledge while working for an international public accounting firm. In 1989 Steve began a private practice law firm, Steven D. Kaestner, P.C. (SDK PC), which was founded and is still serving the legal needs of its clients today. In 1995, Steve co-founded Successful Financial Seminars, Inc. (SFS). In 2007, SFS became Cunningham Kaestner Investments, LLC (CKI). All of this lead to the formation of Ironhorse Wealth Management (Investments & Estate Planning) in 2011, a full service financial firm offering comprehensive plans involving income tax, estate tax and investment solutions. Steve earned his Juris Doctorate from the University of Oklahoma College of Law in 1982 and his Bachelor of Science in Accounting from the University of South Dakota in 1978. He also completed the Financial Planning Course at Oklahoma City University in preparation for his CFP Certificate exam. Currently serving as a Director for the Oklahoma Venture Forum (and was the previous Chairman), Steve is also an active member of the Oklahoma Bar Association, the American Institute of Certified Public Accountants, the Oklahoma Society of CPAs, the Financial Services Institute and the Oklahoma Planned Giving Council. 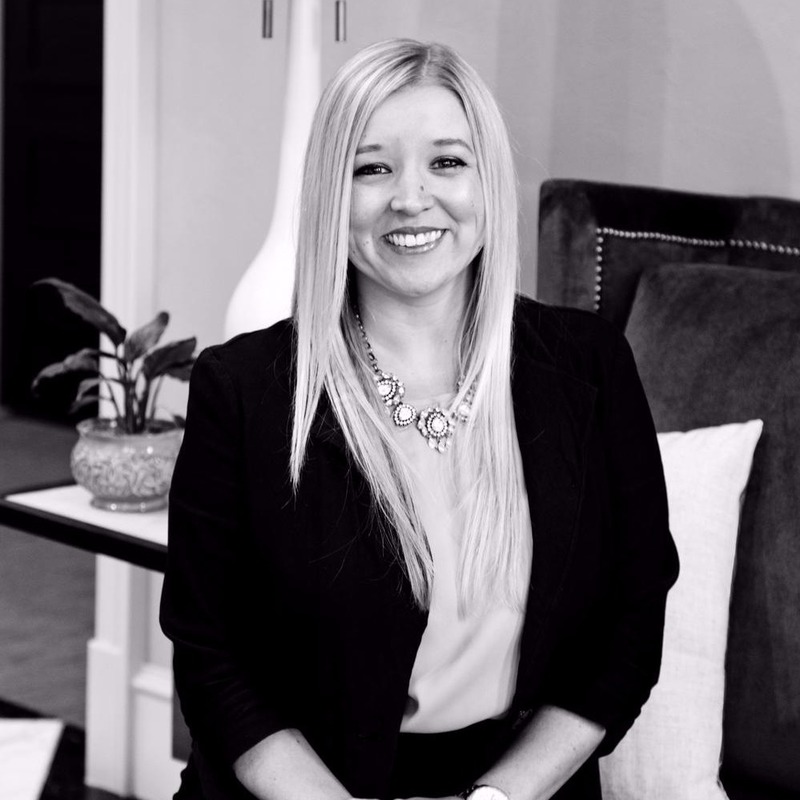 Jamie Taylor began working for Ironhorse Wealth Management as Client Relations Coordinator in 2012 after graduating from The University of Oklahoma with a Bachelor’s degree in Communication. Prior to working at Ironhorse, Jamie worked for the Oklahoma City Thunder in Community Relations. After passing the Series 7 exam in February of 2015, Jamie became a securities representative and then an Investment Adviser Representative after passing her Series 66 exam in April of 2016. Jamie earned her Certified Divorce Financial Analyst (CDFA®) certification in 2017 to be better able to serve her clients. Jamie is responsible for portfolio allocations, collecting and analyzing information regarding client risk tolerance, long and short-term goals, income, assets, investments and debts. She assists in client meetings to discuss financial goals and investment timelines. Jamie is passionate about educating and informing her peers on the benefits and significance of getting a grasp on financial planning matters sooner than later which includes creating a budget, getting out of debt, education planning, 401(k) allocations, ongoing saving plans and more. You can contact Jamie if you need help or have questions on any of the above or would like to meet with her to discuss your financial goals! 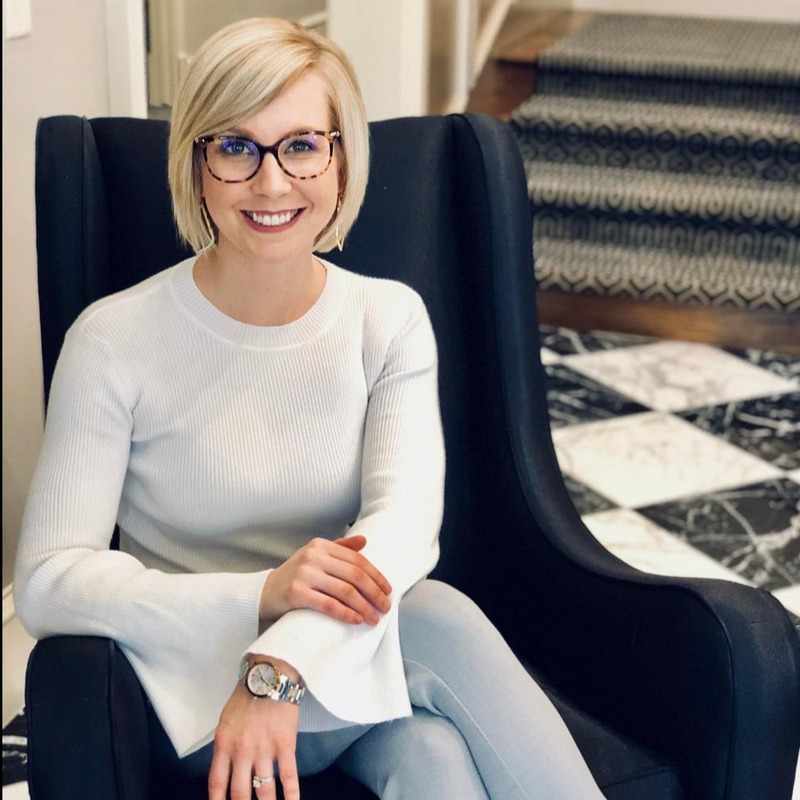 Lauren Zirtzman has held the position of Client Relations Coordinator at Ironhorse Wealth Management since April of 2015. Prior to working at Ironhorse, Lauren attended The University of Oklahoma. Lauren has her associate’s degree in Diversified Studies with a concentrated focus on Human Relations. Lauren is responsible for prepping client paperwork, tracking investments and rollovers, assisting with withdrawals and required minimum distributions, generating client meeting documents, organizing client events and entering and maintaining client data in comprehensive financial planning software. In addition to her roll on the investment side, Lauren also passed her Life Insurance exam in August of 2016 and is a licensed insurance producer. 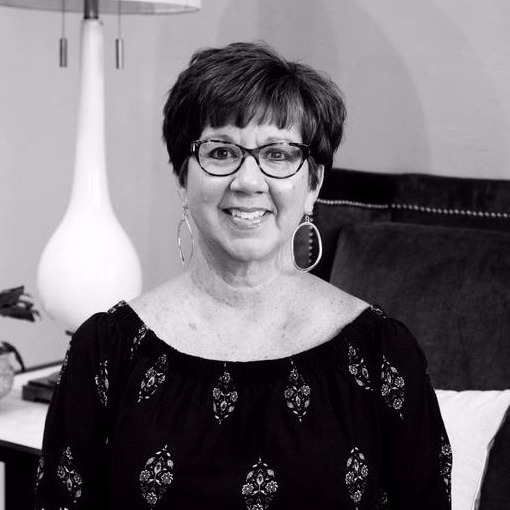 Prior to working at Ironhorse, Lori worked for accounting firms in Oklahoma City for eight years. Lori is responsible for working on investment paperwork and handles a wide range of tasks regarding new and existing investments. Lori has 24 years of experience working with Steve and is able to answer a variety of questions that you might have. Steve's Wife. They have been married for 28 years and have worked together for 26 years - we think that is worth a certification! 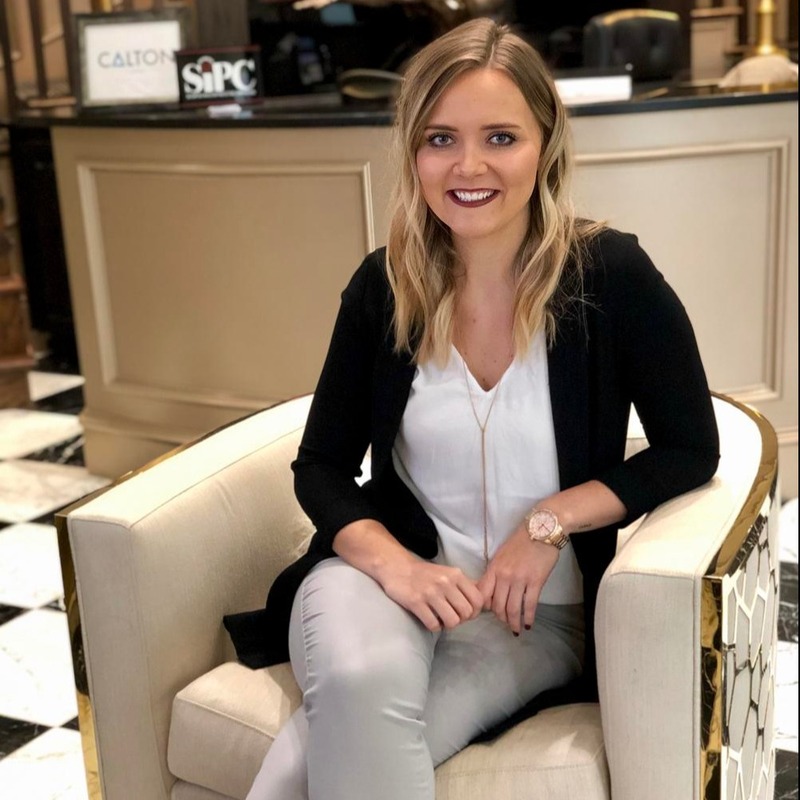 Ashlynd is currently attending the University of Central Oklahoma pursuing her bachelor's degree of Science in Mathematics and Statistics with a minor in Economics and has been interning with Ironhorse Investments and Estate Planning since October 2018. Ashlynd handles preparing spreadsheets with fund analysis on non-traded investments regarding purchase price, distribution percentage, current value and return of investment. In addition to running different analyses, she also helps prepare investment portfolios for advisers to review regarding annuitization on annuity policies. 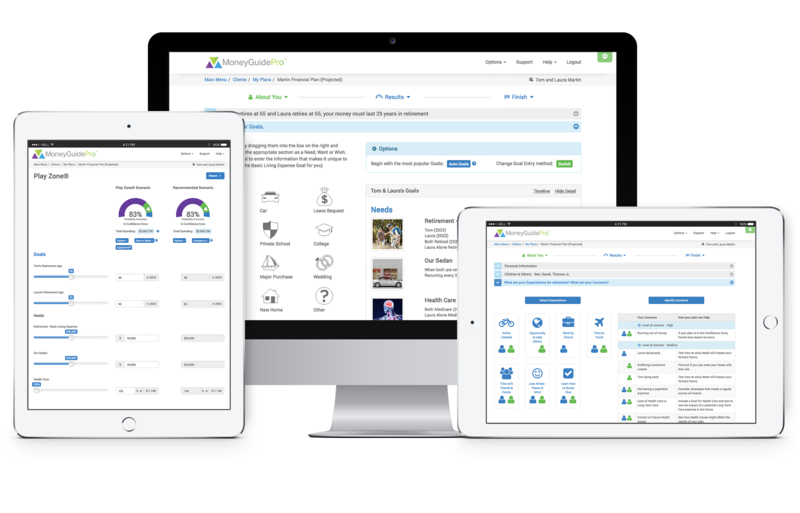 Ashlynd is also responsible for assembling materials for client and prospect meetings, maintaining client records, CRM databases and compliance files. We are excited to have Ashlynd as part of the Ironhorse family! Long-term client relationships are what we strive for. We are as careful about accepting new clients as you should be in selecting an adviser. We find that our ideal client, first and foremost, is someone we enjoy working with. We also want to work with clients who strive to manage their finances successfully to provide for themselves, their families and if they wish, charities. Perhaps most importantly, our clients appreciate the benefit they receive from the coordination of portfolio management, retirement planning, estate planning and tax planning all at one firm. Clients come to us for the expert advice and the confidence that comes from having a dedicated financial advisor. We have worked with high-paid executives, college students, individuals going through a major life transition and families large and small. There is no typical Ironhorse client – simply those who value high-quality advice, planning, investment management services, and tax help. Psst. We have no minimum asset requirement. We believe that everyone deserves quality financial advice. Navigating Your Financial Road Map: Where Are You? Just married. New job. Baby. Home purchase. When it comes to finances, you just want to know where to start and where to go from here. You want technology efficient platforms but the ability to talk to someone who knows you, your situation and also knows what they are talking about. We heard you and have services tailored to your specific needs. You made it. As an established professional, you’re reaping the benefits of a flourishing career and may have kids near or at college-age. Perhaps you’ve been through the financial planning process before, or maybe you’ve procrastinated getting started. Regardless, now is the time to ensure your financial plan is working efficiently or help you create one that will. Accumulating a nest egg through savings, inheritance or other means can greatly improve your financial well-being when coupled with sound financial advice. Right now, you may be concerned about maintaining your lifestyle, preserving what you have and protecting yourself against unknown risks. Navigating financial independence can get tricky in regards to all the moving pieces, but it does not have to be if you have someone helping you. Being at a financial crossroads can leave you frustrated and trying to figure out what to do next. Your next steps in these situations are critical in ensuring future success and stability. You need help understanding and implementing a plan for which direction to go from here and we have the tools to help guide you. Small & medium size business owners take a higher risk approach to their careers. The rewards of owning a business can be wonderful, but the path to success is often stressful and fraught with potential pitfalls (we know, we've been there). As an owner, you want to maximize potential tax benefits, minimize risk, utilize the best fitting company retirement plan, and align your business with their long term financial objectives. The question is - are you doing that now? Maybe you are here, maybe you are someplace different. You likely have several financial planning pieces in place—you pay taxes, invest at least a portion of your savings, have some insurance and maybe you have done some estate planning and retirement planning, but chances are each of these pieces was developed independently, at different times in your life and at several different firms. Is it any surprise then that you’re unsure if you’re on the right track and making all the progress you could be? To be effective, financial planning needs to be coordinated. Each piece of the financial plan needs to accomplish its own specific tasks as well as support the tasks of every other piece. We call this life-integrated financial planning, and we are experts in this area. We’ll look at your entire financial picture and help you fit the pieces together properly. Before we talk about numbers we want to talk about you. What is your current situation? What are your goals? What are you afraid of? What are your expectations and concerns? For financial planning and portfolio management to be done adequately it has to start with an understanding of your goals as it encompasses the combination of financial/investment advice, accounting/tax services and legal/estate planning. We are different because our credentials allow us to offer a broad range of portfolio management and financial planning solutions customized for your specific needs, goals and life stage. (We actually don't believe financial planning can be done adequately without the ability to look at your wealth portfolio with the addition of tax and estate planning components). We apply a clear, well-defined and objective process. Below is a cross-section of wealth management issues that our clients commonly encounter. How much money do I have to have to retire? How much do I need to save for my kids' college education expenses? Based on my goals, how much should I be contributing to my retirement accounts on an annual basis? What is the probability of me achieving my financial goals? What is the current risk level of my total investment portfolio and does it align with my personal risk tolerance? Does our current portfolio meet our lifestyle needs? How might we re-position our investments to meet our lifestyle objectives? What does my portfolio consists of and what are my other options? Is my portfolio diversified and how can I build one? As we get closer to our retirement years, how should we modify our investment plan to provide more stability and higher income? How much can we draw annually from our investment portfolio to supplement other sources of retirement income? Am I optimizing my retirement benefits at work or how can I? What happens to our investment portfolio if something happens to me or my spouse? When and how should I apply for Social Security? Before we talk numbers we want to talk about you. Earning money is only half the battle when it comes to achieving financial stability. You need to make smart choices about what to do with the money you earn - how you invest it and how you protect it. Ironhorse offers comprehensive and personalized estate planning, asset protection, business succession planning, business formation, probate and trust administration, charitable planning and estate litigation. Estate Planning is more than a Will and is more than just determining who gets your property when you pass away. It is about minimizing the financial and emotional costs for you and your loved ones. Whether you wish to create your estate plan for the first time or update your existing plan, Ironhorse can help you create a comprehensive and personalized estate plan that will provide you with the peace of mind you deserve. Are you married? Do you have children or elderly parents? Part of a blended family? Do you own your home, car or maybe a small business? How about a savings account? If you answered yes to any of these questions, here is an important follow-up for you: Do you have an estate plan in place? While you may think estate planning is only for the wealthy, who have millions and live on, well...estates...think again! The correct answer to "who needs an estate plan?" is simple: EVERYONE. Yes, everyone needs an estate plan - even you! Who are the most "important people" in your life? Exactly who (or what) is driving you to plan for the future? The term “important people” can mean a lot of different things to a lot of different people – after all, finding the right estate plan is driven by who you consider your loved ones to be. For instance, many would categorize their immediate and extended family members, such as a spouse, children and grandchildren, or perhaps even parents, siblings or other relatives as those most important to them. Beyond these, however, "important people" could also include charities, special causes, colleges or universities, or churches to which you are committed. For some, "important people" could even include pets. Once you know who these people are and the impact they have made on your life, we can work together to come up with the plan that best suits your particular goals, values, and objectives. This is where the planning process truly begins. After identifying who you love and what exactly you have to leave them, the next step is to consider the plan you would make for those people (including yourself) and those assets in the event of your own incapacity or death. Who would you name to make decisions for you if you could no longer do so yourself? Would the same person handle your finances and your personal and health care decisions? Who would care for your minor children? How would you distribute your assets to your heirs? Would you prefer to spare your heirs the potential cost and hassles of the probate process? Would you like to minimize the impact of estate taxes ... or maximize the impact of a charitable bequest? Is there someone in your family with special needs for whom you would like to provide? Is there someone who perhaps should not receive a great deal of (or any) money without some outside oversight? When You’re Ready – We’re Here to Help! These are just a few of the issues to consider when approaching the planning process. When you are ready to schedule a consultation, please call or complete the request a complimentary consultation form and we will give you a call to schedule an appointment with our experienced attorney so that together, we can find the estate plan that is right for you and your loved ones. More on What Is Estate Planning. Give us a call. Send us an email. We want to help! We have covered a lot of information and you probably have questions. Let us know what you would like to discuss and we will get back to you within 24 hours.